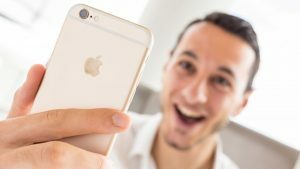 iPhone 11, iPhone XI or iPhone X2: What’s new 2018 iPhone? In 2018, Apple is planning to continue on with its iPhone lineup, introducing three new iPhones. The first is said to be a second-generation version of the iPhone X, with the same 5.8-inch OLED display, while the second can be thought of as an “iPhone X Plus” with a larger 6.5-inch OLED display. Comparatively, the 5.8 and 6.5-inch OLED iPhones are expected to continue to offer dual-lens rear cameras and they may include 4GB RAM. The larger model will, of course, support a larger battery for longer battery life, and it could include dual-SIM support for easier carrier switching and a new gold color option. 2018 could mark the year that the iPhone gets an entirely new naming scheme, but we won’t know for sure what Apple’s plans are until we start hearing additional rumors about the new devices. Apple is said to be sourcing the majority of its OLED displays for the 2018 iPhone lineup from Samsung, but LG Display could provide displays for the 6.5-inch OLED iPhone, and Apple could also tap Sharp and Japan Display for extra supply. We won’t know any concrete details on the 2018 iPhone, or iPhones, until they officially launch because while there are always plenty of leaks and speculation regarding Apple devices, Apple is better than some companies at keeping final details under wraps. With that in mind, you’ll need to keep your expectations under control when reading about the rumours as more often than not, they turn out to be the stuff of dreams rather than reality. Current rumors suggest Apple will continue to use a two-cell L-shaped design for the batteries in the 5.8 and 6.5-inch iPhones coming in 2018.
iPhone part leaks often start months ahead of when a new iPhone is released, and it’s no different with the 2018 iPhone lineup. Apple’s 2018 iPhones are expected to feature upgraded A12 chips produced solely by TSMC and built on TSMC’s improved 7 nanometer process. Apple is said to be using TSMC for its superior InFO wafer-level packaging. According to a report from The Wall Street Journal, Apple may opt to do away with Qualcomm LTE chips in 2018 iPhone models due to the legal dispute between the companies. The site believes that instead of Qualcomm modems, Apple could potentially use an all Intel lineup or a mix of Intel and MediaTek chips. KGI Securities analyst Ming-Chi Kuo initially said that Apple would continue to use a mix of Qualcomm and LTE modems, but he later changed his prediction and he too now believes that Intel could be the exclusive supplier of LTE modems in all iPhones launched in 2018. It looks like 2018 will be the year that Apple transitions all of its smartphones to Face ID, with rumors suggesting all 2018 iPhone models will feature an edge-to-edge display and a front-facing TrueDepth camera module with support for Face ID. Face ID would then officially replace Touch ID as Apple’s biometric security method of choice across all devices, not just Apple’s top-of-the-line flagship smartphone. That’s in line with rumors that have suggested Face ID integration in other devices like the iPad Pro. KGI Securities analyst Ming-Chi Kuo believes 2018 will bring a “super cycle,” as Apple will have worked out all TrueDepth camera manufacturing problems by then and models unveiled in 2018 will be available for a longer period than those released in 2017. Kuo also believes that when Apple introduces the new iPhones in September of 2018, the current iPhone X will be discontinued. Apple, he says, will stop selling the device entirely, retiring it after a year of availability rather than offering it as a lower-cost device as Apple traditionally does with older iPhone models.